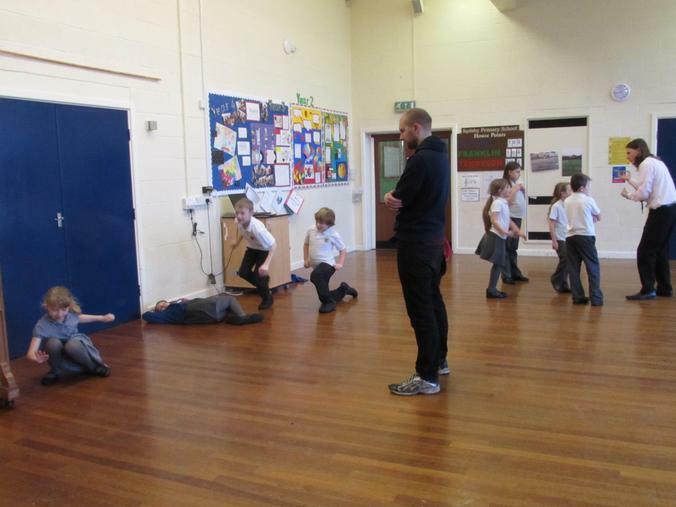 As part of their topic Playlist, the year 4 children spent a day creating and performing silent movies. 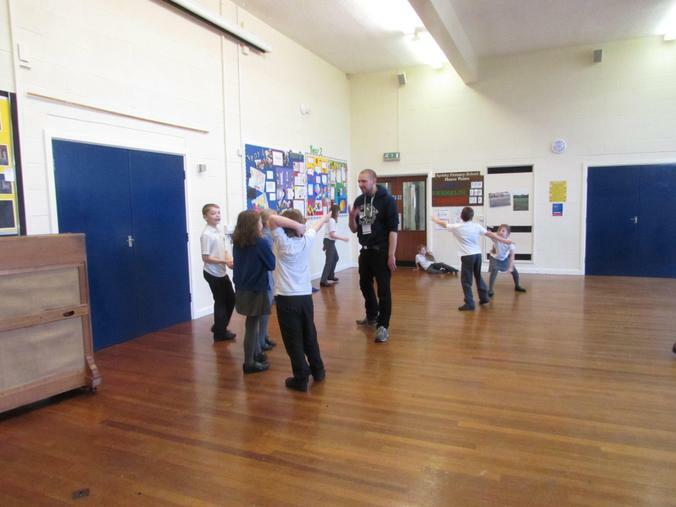 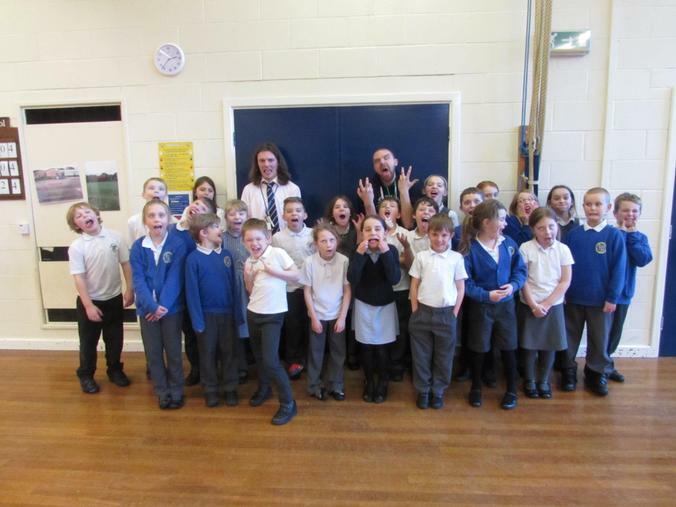 They had some expert help and advice from Andrew Cunnington who graduated in Physical Theatre and has performed all over Europe and at the Edinburgh Fringe Festival. 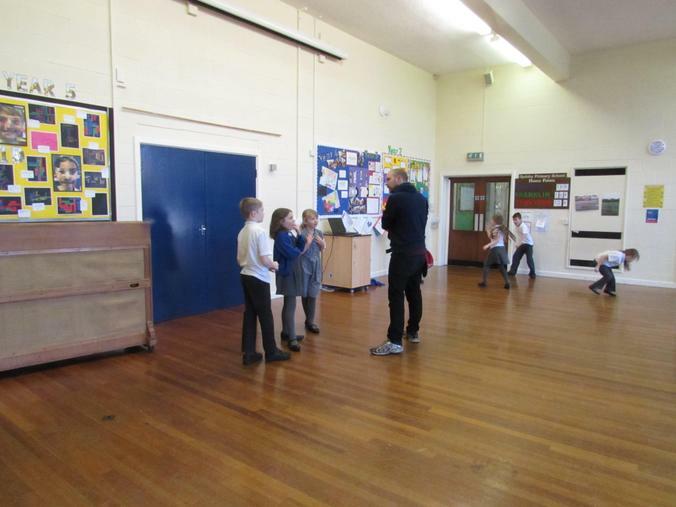 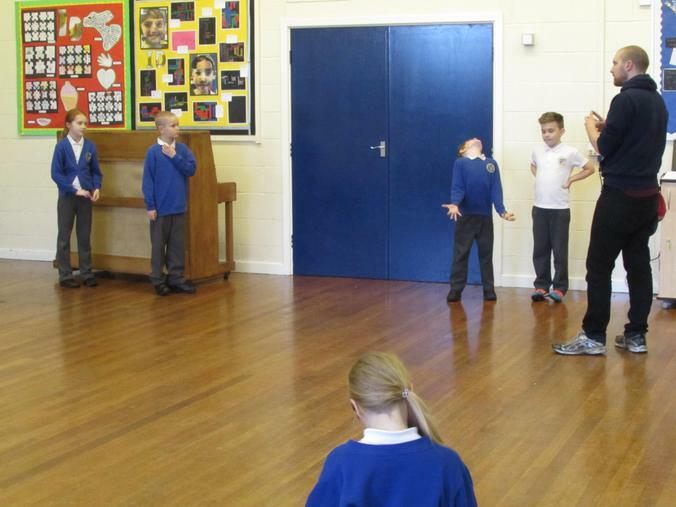 Andrew spent the day showing the children how to give a performance using only their body and facial expressions. 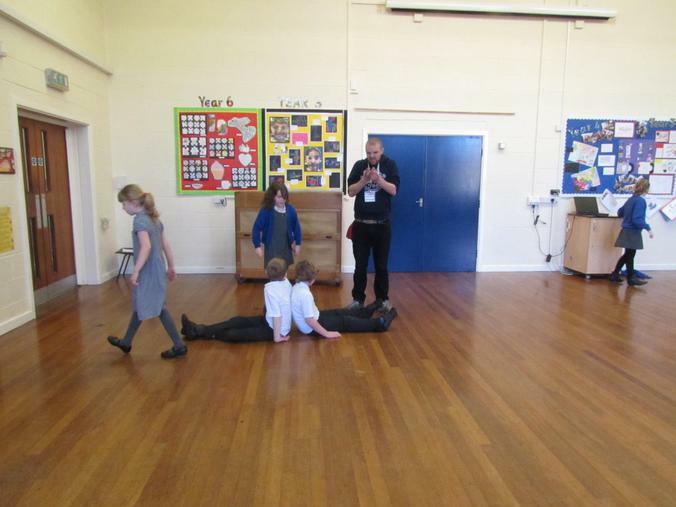 At the end of the day each group created a silent movie to perform to the class. 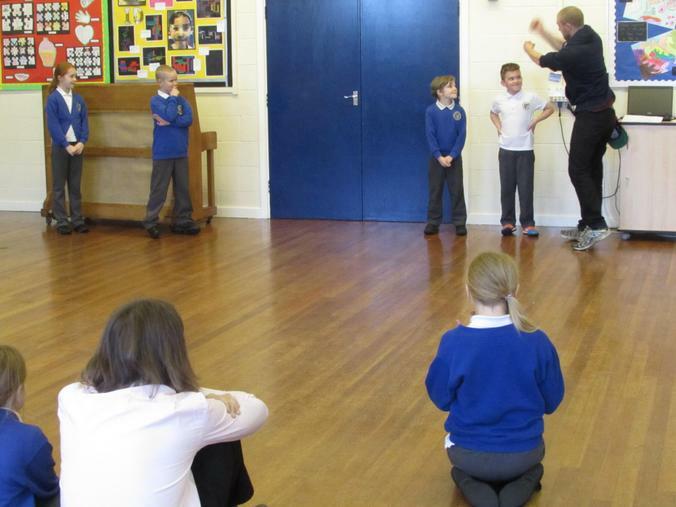 "I enjoyed it when we all sat down and Andrew acted to the different types of music," said Aaron. 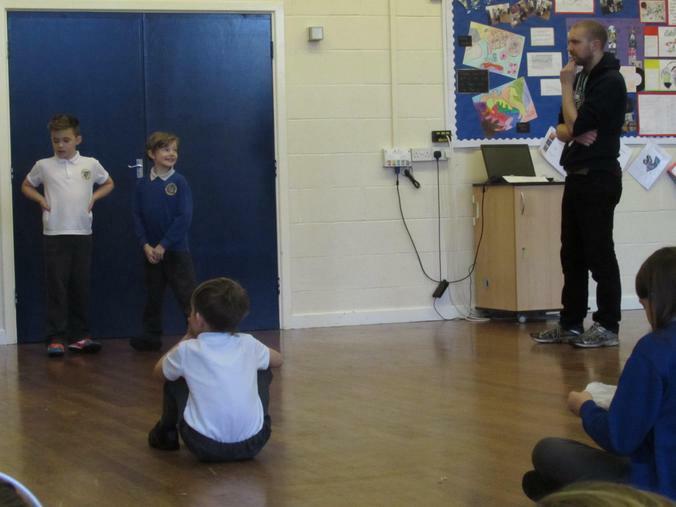 "I enjoyed coming up with ideas to write the script for the performance," said Charlotte. 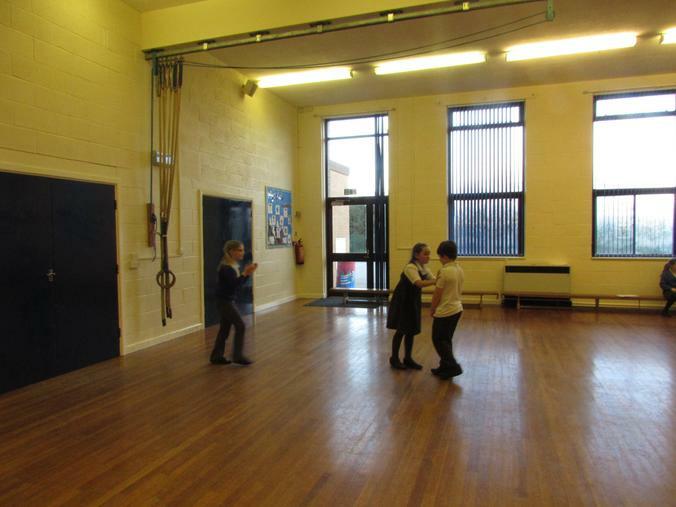 "I enjoyed doing the performance with my group at the end," said Lara.